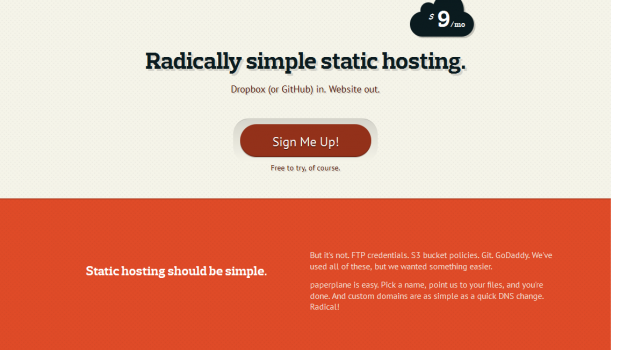 Radically simple static hosting. Dropbox (or GitHub) in. Website out. paperplane is easy. Pick a name, point us to your files, and you’re done. And custom domains are as simple as a quick DNS change. Radical! No GBs or domain counting. Unlimited domains, soft limits on traffic (that you’ll probably never hit). No ads, add-ons, or other nonsense, all for 1 easy price.